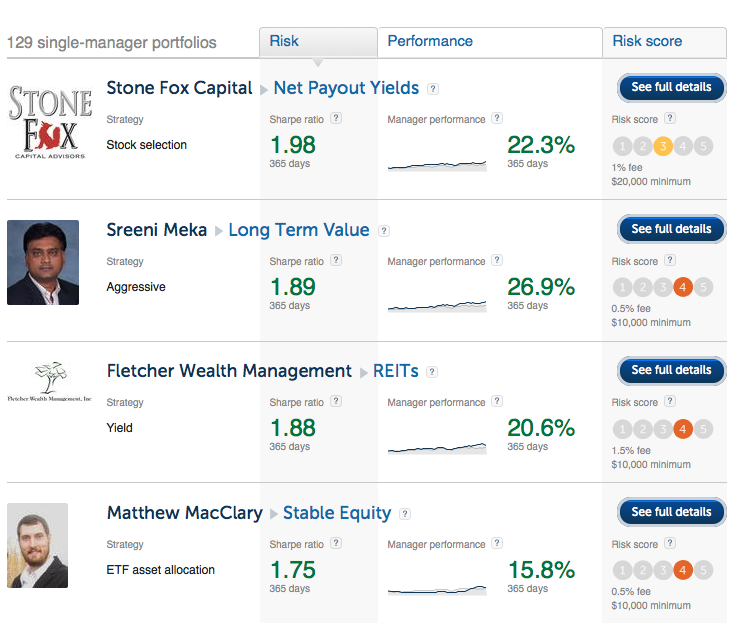 According to Covestor, the Net Payout Yields model has the top risk-adjusted returns on the platform over the last 365 days. As of results through February 20, the model had a Sharpe ratio of 1.98 and slightly edged out a couple of models listed below at 1.89. In total, the platform has 129 models that it beat out for the top spot. Disclaimer: Historical results are not indicative of future performance. Positive results are not guaranteed and individual results will vary depending on market conditions. Investing may cause capital loss. Please review the disclaimer page of the blog for more details. SummarySolarCity reported Q4 earnings that missed analyst targets. A couple of negative trends continue to pop up. The stock isn't likely to gain traction without proper resolution of these negative trends. SolarCity (NASDAQ:SCTY) remains good at installing new rooftop solar power systems at breakneck speed. The company though is slowly losing momentum in convincing investors that these systems make a good investment with the outlandish operating expenses. After another miss and more importantly continuing negative trends, investors don't appear so convinced that the growing solar deployments are adding the same value as proposed by the management team. SummaryTransocean dividend cut proves that Seadrill appropriately paused the dividend three months ago. The aggressive dividend cut by Seadrill provides more opportunity for management to allocate capital for long-term benefits. The disconnect between earnings cuts and stock losses in the sector provide a great buying opportunity for Seadrill. The weekend news that the CEO of Transocean (NYSE:RIG) was stepping down and the company is asking shareholders for a major dividend cut is another sign that Seadrill (NYSE:SDRL) is leading the sector. The offshore drillers remain in a grueling market downturn with plenty potential upside for the driller that pulls out of the downturn with the best positioned rigs and management teams. Kohl's: Is The Buyback Benefit Over? SummaryKohl's turned flat revenue into yearly earnings growth due to a large stock buyback program. The retailer is trading at multi-year highs despite the less than thrilling earnings growth. The stock gains are limiting the stock buyback benefits just as some risks mount on the horizon. After years of large stock buybacks and a struggling stock, Kohl's Corporation (NYSE:KSS) investors are finally seeing a large payback. The stock recently surged from $60 to $70 based on strong preliminary Q4 comp sales numbers. After several quarters of missing earnings estimates, one has to wonder if investors are getting too excited over one strong quarter. Disclosure: Long KSS. Please review the disclaimer page for more details. SummaryYelp reports Q414 earnings that beat analyst estimates.The consumer review site has seen user growth completely stall sending the stock down roughly 20% in early trading.The stock now has an attractive valuation based on growing monetization of local business accounts. Despite strong earnings numbers, Yelp (NYSE:YELP) faces an issue with struggling user growth. Most of the metrics used to track the growth of the company remain in major growth mode, but the consumer review site is struggling to expand much beyond the 130 million MUUs (monthly unique users) that it first reached during Q114. SummaryCenturyLink reported Q414 results that continued some negative trends. The telecom giant continues to produce substantial free cash flow despite a lack of growth. The stock has downside protection with a 5.5 dividend yield and a large approved stock buyback plan. The recent quarterly results of CenturyLink (NYSE:CTL) are starting to show some cracks in the previously stable operations that offered investors high yields. The telecom giant is still struggling with the shift from legacy access lines to modern services like high-speed Internet and pay-TV services. Combined with a large stock buyback and the hope of a REIT spinoff, the stock soared above $44 during the summer. Now, however, the results are starting to lag and the buyback spending is slowing. The latter is not a good sign for a highly rewarding spinoff that would make the current stock price around $40 attractive. SummaryAmerican Airlines stock is down due to weak January traffic numbers. The airline expects to generate attractive margins of at least 12% despite the disappointing traffic. American accelerated the original stock buyback and authorized $2 billion more to spend due to the extremely cheap stock. The January traffic numbers for American Airlines Group (NASDAQ:AAL) were far from exciting, yet plenty of reasons exist to continue loading up on the stock. The stock continues selling off with momentum traders dumping the airline regardless of the incredible valuation it offers. Investors should consider the following reasons for buying the stock now. SummaryThe Hartford reported Q4 earnings that beat analyst estimates, yet the market was unimpressed with the 2015 growth forecast. The insurance company has a large stock buyback program that is increasing value considering the stock trades at or below book value. Investors shouldn't attempt to over analyze the stock and instead use the high yields to guide the way. As with any large insurance company approaching $19 billion in annual revenue, lots of analysis can go into the quarterly earnings of The Hartford (NYSE:HIG). The company offers property and casualty insurance for both commercial and personal lines along with group benefits and investments via mutual funds. SummaryGlu Mobile smashed Q4 earnings estimates due to in large part to the lasting success of the Kim Kardashian game. The mobile game developer signed an exclusive deal with Katy Perry to produce a game for release in late 2015. Stock remains attractively priced at only $530 million with huge potential upside from the Katy Perry game due to large fan base. Glu Mobile (NASDAQ:GLUU) announced blowout Q414 earnings along with the signing of a five-year, exclusive mobile gaming partnership with singer Katy Perry. After a year of record revenue for the mobile game developer, based mostly of the success of the Kim Kardashian game, a comparison of social media fandom between the two stars could portend a higher level of success for the Katy Perry game. SummaryAmazon reported Q4 '14 earnings that smashed reduced analyst estimates. The online retail giant surged 13% based on those numbers, but the gains will only encourage further competition for a low-margin business. Investors should sell shares into the rally. After beating analyst estimates for Q4 and surging nearly $43 the next trading day, Amazon.com (NASDAQ:AMZN) is probably further away from a lasting profit profile. A previous article - Why Amazon Is Likely To Never Make A Profit - highlighted how competition was joining the fray, yet Amazon doesn't produce meaningful profits. The prime reason being the astonishing market valuation of Amazon in general, and the huge $20.6 billion gain due to a small profit sure help embolden the competition into the sector. 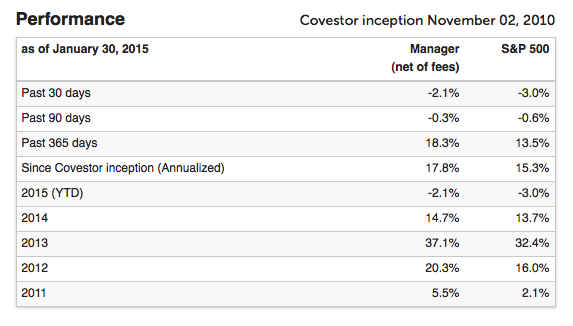 January was another impressive start to the year with the Net Payout Yields model on the Covestor platform beating the benchmark S&P 500 by 90 basis points. The conservative model focused on the combination of stock buybacks and dividends is now on pace to beat the market for a 5th consecutive year. Disclosure: Historical results are not indicative of future performance. Positive results are not guaranteed and individual results will vary depending on market conditions. Investing may cause capital loss. Please review the disclaimer page of the blog for more details.